Demand for hybridisation in the global OHV market is expected to grow at a CAGR of 10.6% for the period of 2017 to 2025. Asia is expected to dominate the hybridisation market in terms of volume through the forecasted period. Excavators, bulldozers and loaders will experience the highest penetration of hybrid powertrains, given their widespread application and acceptance in the construction and mining segment. Among these, loaders are expected gain the maximum market adoption for hybridisation. 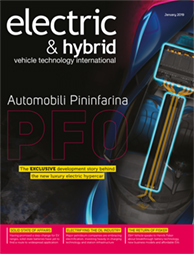 Equipment manufacturers have realised the growth potential of the hybrid market and hence focus is now shifted toward hybridisation to tackle stringent emission norms and enhance fuel efficiency. The competitive landscape is expected to witness more joint ventures, mergers, acquisitions and technology transfers, which will further intensify the market competition; however, traditional players will drive the segment’s development. This presentation will focus on the next steps in the E-DEUTZ approach, which involves the development of fully functional electrified drivetrains for real-world mobile machinery. The investigated approaches cover the range from a mild hybrid powertrain that combines a combustion engine < 56kW with a 20kW electrical machine, across full-scale hybrid-electric vehicles (HEV) to fully electrified battery-electric vehicles (BEV). The review will also address the conceptual layout, the mechanical and electrical design of powertrains in demonstrator vehicles, and the impact on real-world fuel economy and emission reduction. The presentation will focus on the current state of the art and trends in the development of electric and hybrid powertrain solutions for access machines (aerial work platforms). Mobile elevated work platforms are an ideal application for hybrid power systems due to the duty cycles and requirements to work in partially and sometimes fully closed building envelopes. Over the last 20 years, hybrid power machines have become prevalent in the construction industry. However, very few companies offer both series and parallel hybrid designs. These products reduce emissions and noise while minimising fuel consumption without sacrificing power or performance, and providing flexibility in machine usage. Generation 1 MHEV systems are rapidly coming to market in the passenger vehicle field with a range of technologies, the most common being focused on BISG machines to recover energy under braking and provide torque assistance under acceleration. Second-generation MHEVs are now under development, featuring more highly integrated electrical machines and the elimination of the engine front-end belt drive. This technology is very applicable due to its utilisation of higher power- and torque-capable integrated electrical machines, opportunities for improved engine thermal management and emissions control through systems electrification and the shift to 48V for other high-power consumers. With the implementation of electric drivetrains, thermal management will become even more important and will be one of the challenges for off-highway OEMs. In addition to the battery, the cab and other (driveline and hydraulic) components need to be cooled or heated. Ymer Technology's complete thermal management system (TMS) focuses on all cooling and heating demands in machines and puts an end to separately developed cooling and heating systems. The system is modular and scalable, and focuses on highest energy efficiency by reusing waste heat and passive cooling wherever possible. 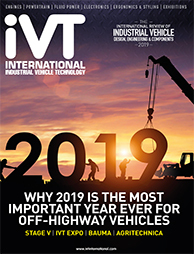 Based on research into market economics, technology readiness and component transferability, there is a clear emerging pathway for electrified on- and off-road commercial vehicles and equipment. 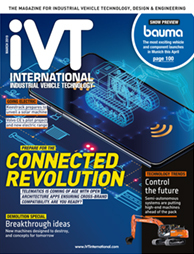 With the advent of a new Global Commercial Vehicle Drive to Zero programme targeting major urban regions, what is the impact to and benefit for industrial vehicle electrification and where will it be targeted? This presentation will review these emerging market segments, identify the top geographies driving this change and provide insights into what industrial segments will benefit from these markets and also may be required to electrify rapidly. The presentation discusses the development of the hybrid powertrain and traction battery for the next generation of hybrid refuse vehicles. Horiba Mira has recently developed the series hybrid powertrain and high-voltage lithium-ion battery for the next generation of efficient, lightweight Dennis Eagle vehicles within the UVR (Urban Vehicle Range) programme. This presentation will cover key aspects of the powertrain control and battery development programme, including requirements definition, concept development, controls software, battery design, design validation planning and functional safety. Due to the increasing amount of plug-in electric machinery within a fleet, the interdependencies between powertrain and grid need to be considered with a holistic system engineering approach. A detailed analysis of an application’s load cycle combined with the possibility for opportunity charging within the working process of the machinery will lead to potential downsizing of the battery. If the plug-in electric vehicles are aggregated and coordinated, the increased number of vehicles can have a positive effect on the grid. The battery storage can act as a load (charging) or can inject power into the grid like a generator. The presentation will discuss taking Nissan cell technology into new markets and applications; dealing with conflicting requirements across on- and off-highway vehicle and machine types using a modular battery pack approach; minimising development costs and reducing time to market, especially for OEMs without in-house electrification expertise. Electrification of off-road vehicles in demanding and harsh applications seems to be an unsolvable challenge. How to get the power on board efficiently and reliably? Cables and plugs face wear and tear. Handling them is a hassle. Plugs get soiled. Not so with wireless charging solutions, which operate without physical contacts and cable connections to the vehicle. Fully automated charging is possible, which is especially interesting for autonomous vehicles. Opportunity charging during operation drastically increases the range. The presentation will show how this has been working with buses for many years and how it can be implemented successfully in off-road vehicles. Wireless charging opens the way to increase the operating productivity of a vehicle. Growing automation demands, intelligent systems, labor shortages, decreased maintenance, variety of battery chemistries and simple ease of use are all strong reasons to implement wireless charging. AGVs and manned vehicles can benefit from fast charging access points from multiple chargers dispersed throughout a warehouse. Delta’s wireless charging system incorporates a fixed charging station with emitting pad and very high-density vehicle-mounted receiving pad, all with a total (wall to battery) system electrical efficiency of 94%. No cables, no connectors, no hassle.